Ever gone to a hotel, thrown your bags down in the room and immediately scoffed the little chocolate lying on the pillow? And then, of course, the chocolate on the other pillow too? No, me neither, I can’t afford those hotels. But I imagine it’s what most people who can afford them do. But fear not poor chocolate lovers. There’s a holiday home just for us now – a chocoholic’s haven, a tasty retreat, a delicious getaway and a diabetic’s nightmare. That’s because there’s a cottage in France made entirely from chocolate. The future is now, old man! Basically, pretty much everything you see at this place is made from chocolate – the walls, the roof, the fireplace (not sure how that’ll work but I’m willing to find out). There’s even books made from chocolate, a chocolate clock on the wall and a freakin’ chocolate chandelier. It doesn’t stop inside either, outdoors there’s a chocolate duckpond and a chocolate flowerbed. Willy Wonka would probably hang up his purple hat if he saw the place. The holiday cottage of dreams is listed on Booking.com, it’s made from 1.5 tonnes of chocolate and can sleep up to four people. 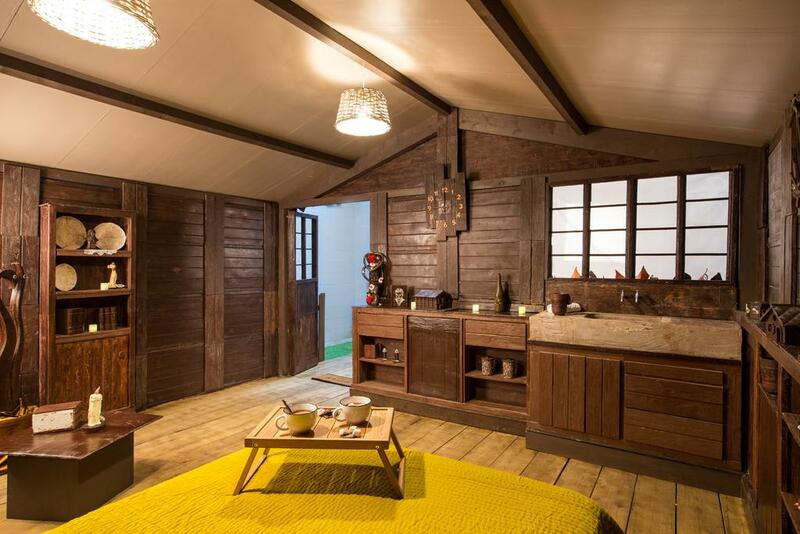 Designed and manufactured by renowned artisan chocolatier, Jean-Luc Decluzeau, this 18-square-metre chocolate cottage, which will be located inside the Musee de Sevres, can accommodate up to four guests for a decadent and cosy night’s stay that will make guests feel right at Home Sweet Home! After checking in, guests will be free to explore their gourmet accommodation before participating in a workshop dedicated to the creation of personalised mini chocolate homes led by Jean-Luc himself. They will also be treated to a delicious dinner and breakfast, served in the cottage’s charming flower garden. There is one catch – the cottage doesn’t have its own bathroom because, well, it would get very messy. But there is one nearby. Also – as a word of caution – though the interiors are edible, and it might sound tempting to just chomp your way through the building, you might accidentally wolf down a load-bearing wall. While 1.5 tonnes of chocolate sounds like fun, it probably wouldn’t be if it was crashing down around you. Perhaps even more mouthwatering is the price. This place costs just 50 euros (around £44) a night, and sits inside the glass house L’Orangerie Ephémère in the gardens of the Cité de la Céramique in Sèvres, France, so the location ain’t half bad really. I never thought I’d have the opportunity to build a life-size Chocolate Cottage for travellers to sleep in! I’m excited to collaborate with Booking.com and to share my passion for chocolate. I hope guests will relish the chance to experience such a sweet and unique place to stay. Booking.com is committed to providing unique and unforgettable experiences for l all over the world. 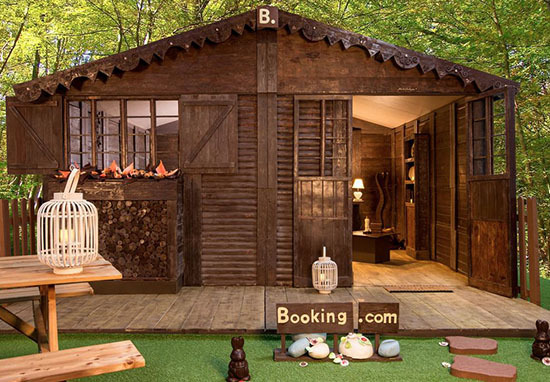 This Chocolate Cottage — the only bookable one ever created— celebrates the incredible diversity of Booking.com’s offering and is a tasty example of the many unforgettable travel experiences our customers can enjoy.